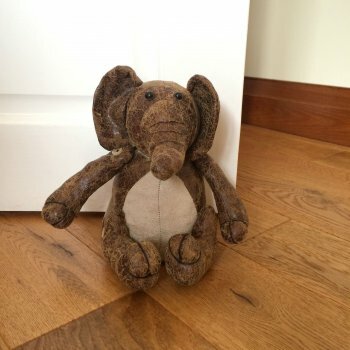 This quirky elephant doorstop is really fun and is bound to make anyone smile! The doorstop has been made from faux leather and suede in brown and beige colours and is weighted with sand. This doorstop would be an unusual but brilliant house warming gift.